CLICK ON THE DROP DOWN BOX ABOVE (BESIDE "Available Screwdrivers":) TO SEE ALL THE OPTIONS AVAILABLE. The screwdrivers marked as 'original Singer' are USED, original items. Their condition and color will vary. However, be assured that Nova will not send you a product that you will not be able to use. 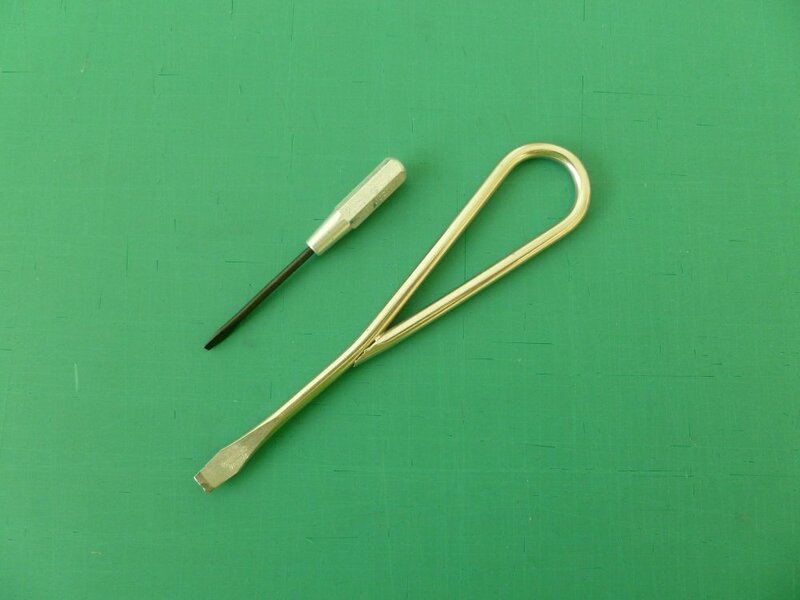 The offset screwdriver is a specialty tool designed to help you remove the screws from the needle plate of your machine. The second photo shows the difference between the thickness of this screwdriver blade and one of the same size from the common hardware store.